In college I was a mac and cheese lover. I made some nearly every night of the weekend. However, I never parted with that blue box. I mean really, it really was the cheesiest. I would try mac and cheese at restaurants, but they were always so bland that I never attempted to make it myself. Until now. Until I realized that grown-up mac and cheese can be amazing. Total comfort food. 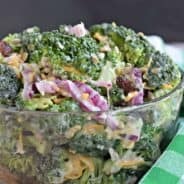 And, it could be that perfect side dish you are looking for for any holiday dinner, potluck or party. Don’t think for a second though that only adults will love this Ritz Cracker Mac and Cheese. It got four thumbs up from my kiddos- and that’s something huge! Because they only like the blue box stuff, too. I’m sure that everyone thinks that their recipe is the “best ever mac and cheese” recipe. So I might be biased, but I think this really is the best ever mac and cheese. My Ritz Cracker Mac and Cheese recipe makes a ton, so it’s perfect for serving at family gatherings and parties or taking to a potluck. It’ll be the first thing to disappear! 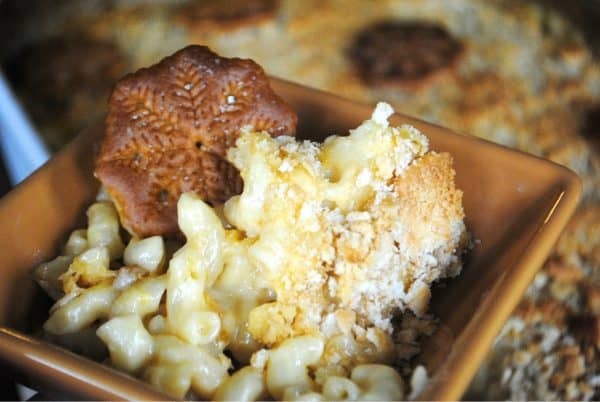 I use a few simple tricks to make Ritz Cracker Mac and Cheese be the best mac and cheese ever. I like to use heavy cream and a roux-thickened bechamel made with milk. A healthy splash of Worcestershire sauce adds a rich, savory flavor to the cheese sauce. I use two types of cheese – nutty gruyere and creamy cheddar – add more cheesy flavor and make this dish doubly cheesy. And finally, don’t forget the Ritz cracker topping! The Ritz cracker topping on this Ritz Cracker Mac and Cheese is what really takes it over the top. It’s also probably the easiest mac and cheese topping ever. Because Ritz crackers are so buttery, all you need are the cracker crumbs. No extra butter needed. During the holiday season, I like to buy the snowflake-shaped Ritz crackers and lay them whole on top of the mac and cheese along with the crumbs. It’s not a necessary step, but it’s a cute one that the kids will really enjoy! If you loved this Ritz Cracker Mac and Cheese recipe, you’re in luck because there’s lots more where that came from. Chicken Enchilada Mac and Cheese is made entirely on the stove and combines the best parts of both mac and cheese and chicken enchiladas. Copycat Panera Macaroni and Cheese is ultra creamy and tastes just like the mac and cheese at Panera Bread! Gouda Bacon Mac and Cheese uses smoked gouda and bacon for a side dish with a smoky, rich flavor. Sausage Macaroni and Cheese is full of Italian sausage to make a filling meal. 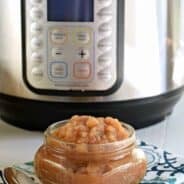 Instant Pot Mac and Cheese is perfect for anyone who loves their pressure cooker. Loaded Mac and Cheese combines the best parts of mac and cheese with a loaded baked potato. Yum! In large pot, melt butter. Add skim milk and bring to near boiling over medium high heat. Reduce heat to medium and sprinkle in flour. Whisk vigorously over medium heat for 1-2 minutes. Mixture should be thick and boiling. Slowly add cream, while whisking. Add in salt, pepper, mustard and worcestershire sauce. Reduce heat to low and continue to stir for about 5 minutes. In food processor, shred Gruyere and Cheddar cheese. Add to pot, stir until thoroughly combined. Add cooked macaroni to cheese mixture. Pour into a 13x9 dish. In large ziploc, crush 14 Ritz crackers. Sprinkle over top of macaroni. Lay 10 crackers on top, spaced evenly. Bake in a 375 degree oven, uncovered, for 30 minutes. Enjoy hot! You had me at Mac and Cheese!! My mom actually gave me a “talk” right out of high school about how my college roommates might not appreciate mac and cheese for every meal.. lol!! I can’t wait to try this recipe!! Oh Aim, I LOVE me some Mac n Cheese! This one sounds fab! Can’t wait to try it!! 🙂 P.S. Hope you have a very Happy Thanksgiving! 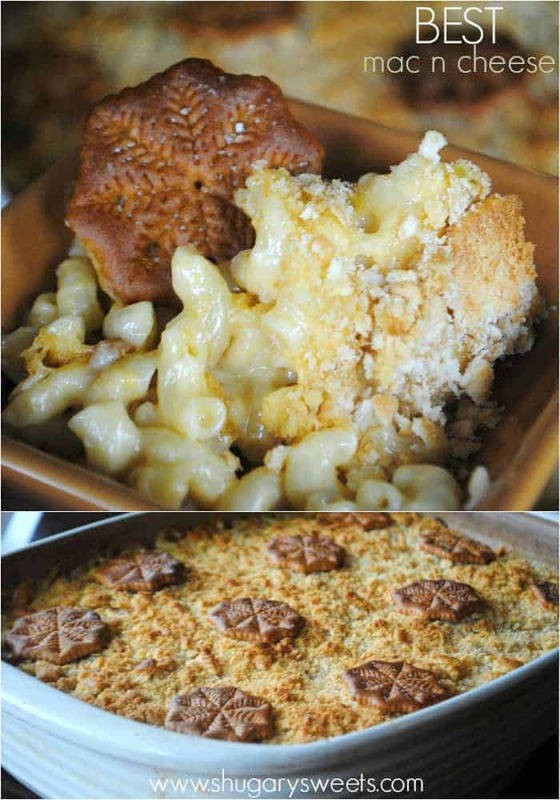 I am a huge fan of mac and cheese and this looks so yummy! I am over from Chef in training and I am making this recipe this weekend! You’ve sold me. Making it! Wow, the Ritz Crackers are pretty! I am most definitely going to make this! I haven’t had mac n cheese in a long time! That being said, yours is very pretty and I’m always happy to eat the stuff no matter what. The fact that yours has gruyere in it gives you extra props! haha.. Save me a seat! Featuring this post too and will definitely be giving it a try myself! I’ll side with Kristy Lynn. Wow! 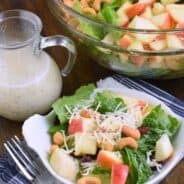 I am bookmarking this recipe and trying it this week! It sounds amazing! The Ritz crackers are a beautiful touch! Thank you for sharing! This looks great! I like the dried mustard. 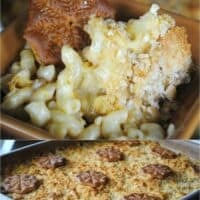 I might sub smoked gouda in as a cheese – Ive been looking for a perfect mac and cheese recipe with smoked gouda, I just love it. BTW – smashed ritz crackers mixed with panko are a super crunchy chicken breading as well, for chicken courdon bleu or whatever you bread. macaroni&cheese is the best~~ i love it!! How adorable is this mac n’ cheese with the snowflake crackers! I had no idea Ritz made them like this. I have a winter baby shower I am throwing soon, hoping I can find them in the stores! Thank you for sharing. I just saw them in my stores this week, so keep your eye out! ENJOY. This looks perfect. Do you use Mild or Extra Sharp cheddar? I’ve used both actually. Either way tastes delicious!! Just made this. Awesome. It really is the best Mac and Cheese!! Thanks Helen! so glad you enjoyed the recipe! Can I just whole milk instead of using skim milk? Oh that mac and cheese is made regularly at our house, and always on the table for holidays and guests. So glad you’re family enjoyed it as well! I tried this tonight for a special carby treat; i’m so nostalgic for this mac and cheese i’d have at a winter camp i’d go to. The lunch ladies always added a crunchy topping, and it was so good! Your recipe was great 🙂 loved the crunchy topping. Thanks for sharing! I have been making this Mac and cheese recipe for years. It is always a big hit. I am now required to make it for every family party because everyone loves it so much! One of my all time favorite recipes. Just ate some leftovers of it today!